Earlier this year, Eve Turow Paul wrote an excellent column on the persistence of sustainability priorities amongst millennials; millennials want to eat foods that they believe create a minimal carbon footprint and they’re willing to pay more for their beliefs. For many consumers, sustainability is most often equated to organic foods. While organic farmers can most certainly be sustainable, practices by virtually any farmer — large or small, organic or conventional — will show that sustainability is not a trend, but a way of life. And that includes making the best use of, and investing in, the latest tools to preserve the environment. “I think we’re sustainable when every year we are able to plant a crop, harvest a crop, and do it again the next year,” wheat farmer John Hoffman said, “If we are not sustainable, that would not happen—we would not stay in business every year.” Hoffman would know; his family has farmed the same land for four generations. For a farmer, self-monitored sustainability policy isn’t about meeting demand for a food trend, it’s about survival. Across the United States, all types of farmers use a variety of methods to reduce their impacts on the earth: crop cover, conservation tillage, organic farming, salmon-safe certification, precision agriculture, anaerobic digesters, GPS technology and bioengineered seeds. Not all methods are in place at once and not all methods can be used in every part of the country. It’s really a question of what method makes the most sense for the crop being grown or animal being raised, the location where it’s growing and the resources and technologies available to the farmer. For example, a dairy farmer can’t necessarily be measured by their use of cover crops although they do a wonderful job of employing reuse and recycling methods. In 2015, a debate was launched when sustainable foods advocates pushed for the 2018 Dietary Guidelines to put an emphasis on “sustainable foods.” The assumption was that some foods were inherently more sustainable than others and therefore should be encouraged more than others. However, as Janet Riley of the North American Meat Institute explained to NPR, “If you compare 10 pounds of apples and 10 pounds of meat, the meat surely has the larger carbon footprint, but it also… nourishes more people longer.” In scenarios such as these, having one sustainability policy for all agricultural products does not take into consideration the nuances of input versus output. Even within the same commodity category, there are many variances to be considered. 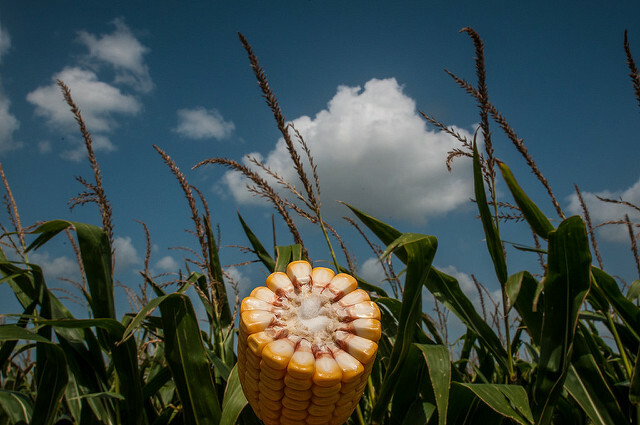 The Field to Market national indicator report measures how certain commodity crops fare in five sustainability indicators, it does not attempt to categorize one food as more sustainable than another. The report focuses “on national-level trends in order to provide an assessment of the aggregate impact of U.S. commodity agriculture. However, agriculture is highly variable across the country due to combination of environmental, historical, and social factors, and specific local or regional results may diverge from these national trends (pg 68).” The FTM authors focus on improvements where possible along the food chain as opposed to defining and classifying sustainability. Campaigners and food retailer brands often try to meet consumer demands or their own interests by touting a sustainability policy or sustainability schemes that often do not fit the nature of agriculture as a whole. Sustainability is a priority first and foremost for the farmer and U.S. farmers have been following their sustainable way of life for generations. Turow Paul wrote, “[S]ustainability is not a fad that will fade with time, but a belief and weight that [millennials] carry with us.” Dry bean farmer Nate Hultgren said, “As farms grow in size and operating margins continue to shrink, we must find ways to be economically sustainable.” It’s time to recognize all that farmers are already doing and move forward with sustainability policies that works instead of trying to paint farming with a broad brush.